It can be tricky at times choosing the right image for a restaurant chain. Do you focus on the food, the venue or the people enjoying themselves? Better by far to not pigeonhole yourself with one visual and concentrate instead on communicating a message about fresh local produce used in your food. 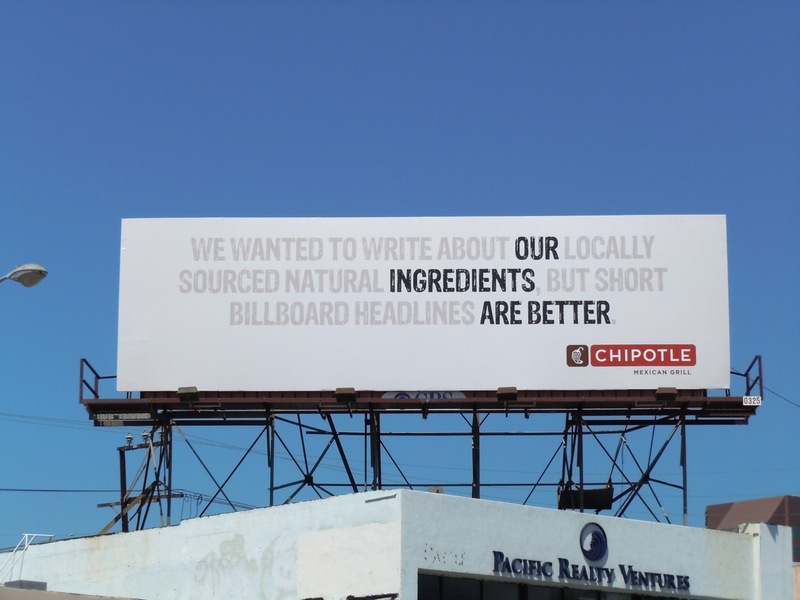 Chipotle's very witty text only concept only helps the highlighted message stand out more prominently. 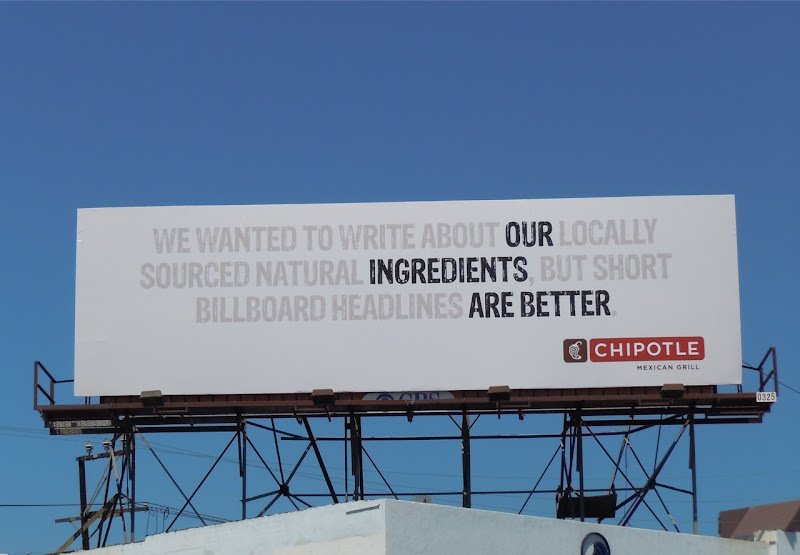 Short billboard headlines are better indeed. This clever and amusing billboard was snapped along Westwood Boulevard at Wilkins Avenue on August 14, 2010.